Installation of Starsat Satalite Combo 3 kit, Installation of OVHD Satalite, Re-alliament Installations, HD PVRs, Satellite Dish Kits, Twin LNB’s etc. 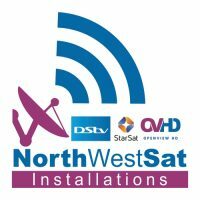 We install new open view decoders in Swaziland. Manzini Sacro by Y2k building in Manzini opposite satellite bus rank. AI Satellite and Cabling are your local Openview HD Installers in Cape Town and Surrounds. Allow us to expertly install your Openview HD Decoder or to service and fix any issues that you might be experiencing with your current installation. No job is too big or too small. Allow us to succeed where others have failed and get you connected to the gift that keeps on giving. Openview HD Installers Cape Town, get free…forever!